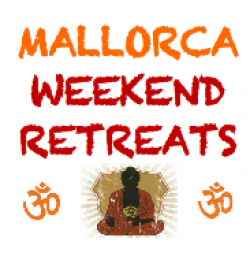 MALLORCA WEEKEND RETREATS are two- to five days open retreats, involving meditation, awareness, therapy and personal growth, accompanied by healthy food in a beautiful and relaxing environment. Each weekend is dedicated to a certain subject or main theme, which could be primal, codependency, tantra, bodywork, wellness, detox, energy work or yoga, just to name a few. The base and essence will always be meditation; the different active, passive, guided and silent techniques allow all that which is experienced in the workshops to be integrated and processed. The workshops during these days will be facilitated by national and international therapist and facilitators, experienced in the retreat topic. Even though participants are encouraged to stay for the whole duration of the retreat, accommodation and vegetarian food are included, there is also the opportunity to join us for single days or evenings for those who can only ‘escape’ for a shorter time.